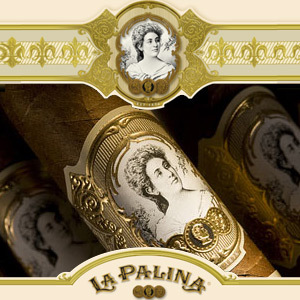 The La Palina is a new, ultra-premium, cigar that has many people going absolutely mad over. The beauty, presentation, taste, and everything about La Palina cigars are something to write home about. These cigars are handmade in Nassau Bahamas by the Grey Cliff Cigar Company, which happens to be known for some of the best ultra premium cigars in the world today. One of the hottest cigars of 2011, the La Palina Pasha, has a shaggy end complementing the little bill, and a noteworthy amount of ligero added to it. We presently carry the La Palina Family Series, but soon will carry the La Palina El Diario and the La Palina Limited Edition 1896 Robusto. Be sure to grab a box of the La Palina cigars because you can’t go wrong and it will be your new favorite cigar, period.